It’s Friday! So it’s time to figure out how you wanna maximize your newly found free time. Atlanta Music Guide has put together a list of shows going on in Atlanta this weekend to help you out! This eight piece band sure knows how to bring the party! Influenced by beach music, frat rock, and R&B you’re sure to have a great time dancing the night away under the stars. The first Dawsonville Music & Beer Festival will feature music from Coal Mountain Band and Back In Black as well as a variety of craft beer! “Texas Country” star and Grammy nominated artist Pat Green has toured with the likes of Keith Urban, Gretchen Wilson, and Kenny Chesney. Now you can catch him at an intimate (but rollicking)solo show! Grammy-winning Rebirth Brass Band is a true New Orleans institution that upholds the tradition of brass while incorporating funk and hip-hop. Their raucous shows have been featured on the HBO show Treme and at their legendary Tuesday night gig at The Maple Leaf. The Howling Tongues brandish their “no regrets rock n’roll” ethos like a wild flag. Their live shows are a thrill and will definitely inspire some serious rocking (and head banging). 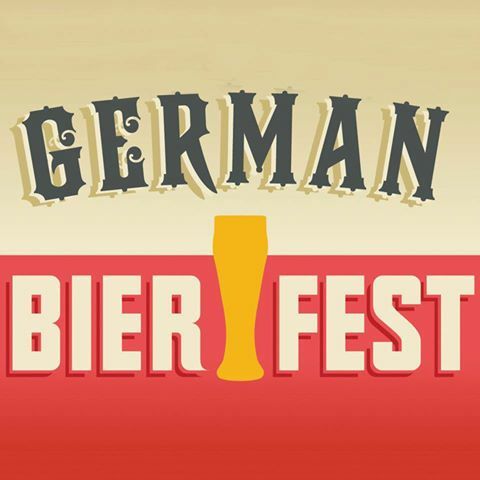 Come celebrate 10 years of German Bierfest in a family-friendly environment complete with authentic German food, activities for kids, music, and more. Come sample some of the best beers the industry has to offer! Your ticket will get you a souvenir tasting glass, 4 hours of beer sampling, live entertainment by the Good Lovin Jam Band, buffet from 6-9 pm, and free shuttle bus service to local hotels. Do you love MMA, raves, DJ battles, and lazer light shows? How about all of them in one event? Return to the Coliseum is sure to be an epic night packed to the brim with exciting events. The first Dawsonville Music & Beer Festival will feature music from the Alex Hall Band, Southern Accent, and more as well as a variety of craft beer! MC Chris is a pioneer of nerdcore, has been featured on mixtapes with Childish Gambino and Kitty Pryde, and has performed with Talib Kweli and Andrew WK. If that’s not enough to convince you, you’re just going to have to see his crazy antics for yourself. Magnets & Ghosts is made up of Dean Roland (From Collective Soul) and Ryan Potesta and became a full fledged project once Collective Soul went on hiatus. Check out their intense, gritty sound live at The Earl! Come celebrate the music from the ’80s and ’90s that you love at the Hyatt Regency! Sing along and dance all night long! Melissa Ferrick has developed a raw, rootsy sound set to a sweeping Americana/alt-country soundtrack that is some of the lushest and brightest material of her 20 year catalog. It’s truly something to experience its depth and warmth live. Beres Hammond, a Jamaican singer/songwriter, puts his heart and soul into his sultry brand of reggae music. From ballads to dancehall, his extensive discography proves that he’s a talent you don’t want to miss out on. Fans of SOJA, Bob Marley, and Rebelution will seriously dig the rootsy, refreshing reggae/rock vibe of Tribal Seeds. They’ve shared the stage with the likes of Dave Matthews Band, the Red Hot Chili Peppers, and Jack White so this show is sure to be a good time.